When the newly elected Pope Francis appeared at the window before the cheering crowd in St Peter’s Square, and promptly bowed down asking the people to pray for him, most of the public at large was charmed, but puzzled. Pope Benedict too had asked the people to pray for him from the outset, but without the bowed head. To some spectators, however—including the members of the Catholic Charismatic Renewal and their counterparts in the Protestant and Orthodox worlds—the gesture came as something surprisingly familiar. In the “charismatic” galaxy, prayer is offered and asked for in this way by people of all levels—specifically, prayer for a renewed outpouring of the Holy Spirit. There is a photograph available on the Internet that shows Pope Francis, while still archbishop of Buenos Aires, on his knees with head bowed as a group of evangelical pastors and Catholic priests and laymen pray over him. As Cardinal Jorge Mario Bergoglio, the Pope would celebrate Mass on a monthly basis for the Charismatic Renewal of Buenos Aires. And despite the conflicts between Catholics and Pentecostals in Latin America, word has it that Pentecostal pastors rejoiced at the election of the new Catholic pope. Pope Francis’ frequent mentions of the Holy Spirit—whom he has described as someone who “annoys us” and “moves us, makes us walk, pushes the Church to move forward”—as well as his unprecedentedly frequent references to the devil (rather than to a generic “evil”), indicate his affinity for the Charismatic Renewal. The election of such a back-to-basics man as Supreme Pontiff provides us with an opportunity to look at the road traveled by the Charismatic Renewal and to “hold on to what is good” (1 Thess 5:21). Despite the openness of its approach, for many the Charismatic Renewal is either undecipherable or a clear-cut deviation into “modernism.” Having made its appearance in the Catholic world after Vatican Council II, with spectacular aspects such as prophecies and miracle-healings, it was obviously lumped in with the many other challenging and controversial novelties that surfaced at the time under the banner of “renewal.” Yet the Charismatic Renewal in its Catholic expression is generally painstaking in its strict adherence to the Church and to Catholic doctrine, a fact which, in itself, can cause controversy and sometimes alienates Pentecostal, Evangelical, non-denominational, or other ecumenical counterparts. While the Catholic Charismatic Renewal may to all outer appearances seem unruly, unconventional, and a tad fanatical, in actual fact, if a bishop anywhere were to tell a Catholic Charismatic Renewal group to close down, close down they would. The CCR can be considered a possible antidote to the deviations of modernism and the infiltration of pagan spirituality and the politics of liberation theology into the life of the Church, bringing into obedience to the Magisterium elements that attract so many to Pentecostalism: overt spirituality, rediscovery of Scripture, the use of charismatic gifts, and a return to the rejoicing, full-bodied mode of primitive Christianity. The worldwide charismatic movement, which now includes an estimated 700 million people around the world, of which an estimated 160 million are Catholics, has its origins in the events of January 1, 1901, when a young girl began speaking in tongues after the prayer and invocation of the Holy Spirit by a lay evangelist of Methodist extraction. This took place in Topeka, Kansas; from there the movement grew and gradually spread to the established churches in the Protestant and Orthodox traditions, and lastly to the Roman Catholic Church. Although customs and terminology were grafted onto the Catholic Charismatic Renewal from these Pentecostal sources, the Catholic Church had its own part to play in the January 1, 1901 beginning. On that morning, in Rome, before young Agnes Ozman started speaking in tongues in Topeka, Pope Leo XIII ushered in the new century by solemnly invoking the Holy Spirit over all of Christendom. One of the chief ends that Pope Leo had explicitly dedicated his long pontificate to was the reunion of all Christians. Now, he was asking the Holy Spirit to bring his work to maturity and to bear fruit, with a renewed outpouring of his gifts not just over Catholics, but over all the disciples of Christ. Very few in the Protestant and Orthodox worlds—indeed, not even many Catholics—are aware of this historical fact. But to believers who attach such specific meaning and tangible effects to the invocation of the Holy Spirit, it can be no small matter. It all started with a nun in Lucca, Italy, Elena Guerra (1835-1914), the founder of the Oblate Sisters of the Holy Spirit, whom Pope John XXIII was to beatify and give the title “Apostle of the Holy Spirit “in 1959. Over a period of eight years, around the turn of the last century, Blessed Elena Guerra wrote 13 letters to the Holy Father, Pope Leo XIII, urging him to establish an institutional devotion to the Holy Spirit. Leo was thus prompted to call the faithful to a novena in preparation for Pentecost 1895, in an apostolic letter entitled Provida Matris Charitate, in which he called particular attention to one of the fruits of the Paraclete, “the unity and unanimity” described in Acts 4:32: “The whole group of believers were united, heart and soul.” Two years later, he wrote his short encyclical on the Holy Spirit, Divinum Illud Munus, (“He is the substantial, eternal, and first Love, and there is nothing more lovable than love”), explaining the Spirit’s unity with the Father and the Son in the Trinity and making the novena to the Holy Spirit public and permanent. Lastly, in 1902, the Roman Pontiff, now 92, had a copy of his 1897 encyclical sent to the bishops, with a cover letter entitled Ad fovendum in cristiano populo (“To the purpose of promoting in the Christian people”), as a reminder of the perpetual and obligatory nature of the Pentecost novena to the Holy Spirit, again insisting it be prayed for the unity of all Christians. Despite Pope Leo’s efforts, the devotion died down in the Catholic Church, which was facing troubled times, and was carried on by the order of the Oblate Sisters of the Holy Spirit, founded by Blessed Elena. Italy, it must be remembered, is a country whose national independence movement waged war on the beliefs of its people. The lies and distortion of facts about the pope, which are still with us, were the indispensable means to pry the people’s loyalty away from the papacy and gain their acceptance of their new rulers, the victors from the Piedmont, in Italy’s northwest. Blessed Elena was in her prime during these years of the 19th century, when the Catholic Church was surrounded, slandered, and hollowed out by laws that confiscated, by degrees, the property of all of the religious orders, one after the other. In these years, 1,322 monasteries were closed down and 57,492 religious were deprived of their possessions, down to their very beds. The main instigator of these confiscations was the Prime Minister of Italy, Count Camillo Cavour, a Freemason who proclaimed himself Catholic and explained that losing all property meant that the Church would be free of material encumbrances and therefore better able to tend to its spiritual mandate. In other words, stealing from the Church was presented as something entirely in the Church’s own best interests. This, of course, was the situation that prompted the dogma of the infallibility of the pope, promulgated in 1870 at the first Vatican Council, which was interrupted by the canon fire of the Northern Italian troops as they broke through the fortifications of the city of Rome. Decades of deliberate ambiguity, deception, and re-written history books have taken their toll on the reputation of the pope and the hierarchy, and on many religious orders. Thus were Catholics, whether lay or religious, in Italy and the world over, kept busy defending and ultimately defining their faith against division, confusion, and infiltration. Is it any wonder, then, that the action of the Holy Spirit, at the Pope’s invocation and Blessed Elena’s inspiration, gave rise to an immense tide of prayer, not in Rome but on the other side of the Atlantic and in the heartland of Protestantism? Summer school brought in priests, nuns, and lay people from all over the world. And so we held prayer meetings and crowds attended and hundreds were baptized in the Holy Spirit and they took the baptism in the Holy Spirit back to their home countries. It was a wild and wonderful summer. There were no Life in the Spirit Seminars [they hadn’t been written yet], we just laid hands on everyone and prayed right away and amazing things happened. Given our youth and inexperience it is all the more evident that it was God’s work, not ours. How interesting that at the same time that hippies were having their “Summer of Love” in San Francisco, and the Beatles were being sought out by Maharishi Mahesh Yogi, to attract through them the youth of the West to Hinduism and the New Age, the Holy Spirit was invisibly at work, treating His own young people to a wild summer of rejoicing and charismatic renewal at Catholic Notre Dame. 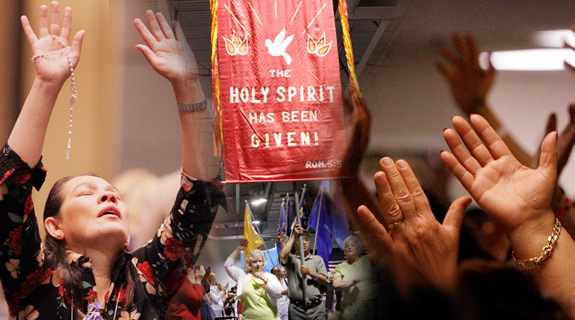 The Holy Spirit came full circle when the Charismatic Renewal landed back in the Catholic Church in Rome, in 1970, led by Americans, both lay and religious. Whenever I come here to be with you I always urge you not to concentrate on the miracle-type phenomena, but rather on prayer and the sacraments. But I must say [here he broke into a broad smile] that when I come here, afterwards I always do feel a whole lot better! An army of ecclesiastical figures have been to annual assemblies of the Charismatic Renewal at Rimini, from cardinals and bishops on down to a yearly cadre of five to seven hundred priests and nuns, especially since the Italian Bishops’ Conference gave its seal of approval to the Statutes of the Renewal in the Holy Spirit. That the more blatant manifestations of the Holy Spirit can have aroused suspicion is no doubt due, at least in part, to the Protestant origins of Pentecostalism, which arrived in Rome in 1908, but also to the same wariness that led the Pharisees to accuse Jesus himself of deriving his power from the devil (Mt 9:34 and 12:24). The extraordinary phenomena of the Holy Spirit was also a source of difficulty for Blessed Elena. Living at a time of alarming growth of modernist heresies (among which many remain well known to us today, such as pantheism), it appears she too may have been suspected of modernism, or of the so-called “Pentecostal heresy,” as news arrived of the amazing revival in America. This may help explain why, on September 20, 1906, at the age of 71, she was cruelly deposed, derided, placed under strict surveillance, and forbidden to write a single line for the last eight years of her life. The work of doctrinal definition, which can help make important distinctions in this particularly sensitive area, is being carried out today by the ICCRS, the International Catholic Charismatic Renewal Services, an association of recognized pontifical right, hosted on Vatican premises. ICCRS keeps track of Charismatic Renewal groups, communities, and, in recent years, a female religious order throughout the world. 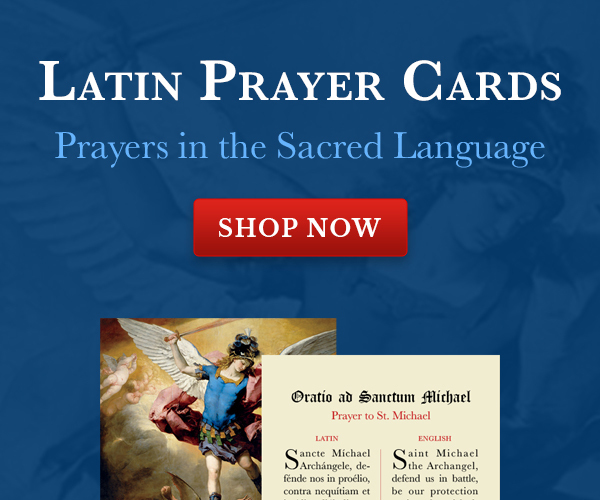 It has a Doctrinal Commission, headed by Mary Healy, professor of Sacred Scripture at the Sacred Heart Major Seminary in Detroit, which works in close touch with the Congregation for the Doctrine of the Faith.